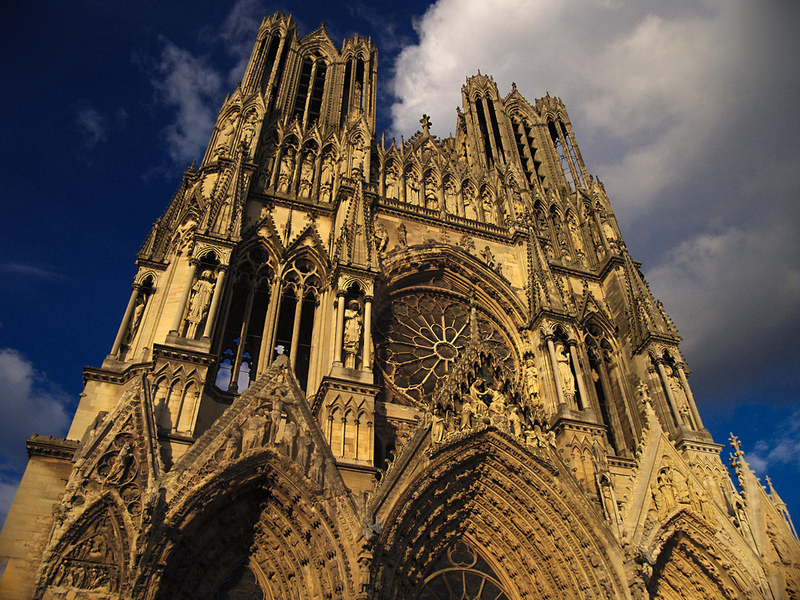 With more than 1 million of visitors per year, the Reims Cathedral, best known as the Notre-Dame of Reims (Our Lady of Reims), is one of the best examples of Gothic architecture. It is one of the tallest cathedrals in Europe: inside, the roof reaches up to 38 meters! The cathedral itself is composed by two towers that reach 86 meters. You can climb the 249 steps leading to the balconies in the towers, to discover a great view of the city as well as the Gallery of Kings sanctuary. Moreover, the building contains one of the biggest expositions of statues, with a particular fact: each other try to interact with other statues, just like a comic! In addition, this is the place where all the French kings were crowned, up to 26 kings walked through the cathedral in the coronation procedure! The cathedral was built from the year 1211 (even if it existed a previous cathedral under the title of the Virgin Mary) and finished in 1275. However, during all this centuries, the cathedral has suffered wars, fires and reconstructions. 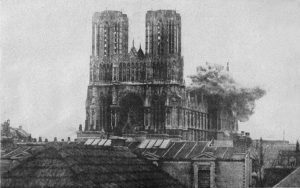 The most recent occurrence was during the German attack in the first World War, where Reims was heavely damaged. The city has been rebuilt and now the cathedral shows, for instance, new glass windows, made by famous artists like Chagall. The cathedral is worth-visiting. Not only for being one of the best buildings which express the Gothic style, but also for the hidden history within its walls. 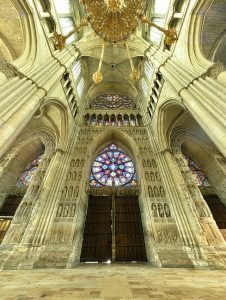 For this reason, we highly recommend to take a guided tour, where you will be able to learn about all the occurrences and events that took part in the building: since the first Christian King of the Franks, baptized in the Reims Cathedral in the year 496, passing through Joan of Arc, until the World Wars. Inside the building, you will be able to admire more than 2000 statues. Moreover, many of them can also be also found in the Palais du Tau. Hours: 7:30 am to 7:30 pm. Prices: Free. But for the cathedral towers there is an additional price.